We’ve all sorted through dusty boxes in attics full of photos of our parents in their salad days, letters they sent to each other, memories they shared, perhaps even secrets they kept. For those of us over forty those memories, no doubt, were often coloured by the Second World War. It was whilst doing just that in my own parents’ trove of memories that I discovered stories that were the thrilling, gripping, emotive stuff of novels, which is why I decided to turn them into one. I think it is safe to say, all writers want their novels to be a critical and commercial success, so writing a novel in English (since I came to live in the UK in 1966) about two young Germans struggling to survive the war in Nazi Germany may seem to be commercial suicide when there has been a tendency in recent years to decry any depiction of the German perspective of the war as revisionist in the pejorative sense. But my novel doesn’t seek to suggest a moral equivalence between the Axis and the Allies, or to minimize Nazi crimes, or deny the Holocaust. On the contrary. I felt compelled to write this novel now in an age when Europe is once again seeing how war can displace and tear apart the lives of families from so many different countries at the same time, just as it did in World War Two. Then, not only Polish and Russian people became refugees, not only did millions of ordinary British, French, Italians, Africans (the list goes on) lose their lives, but millions of ordinary Germans too. And although it seems almost too obvious to state, it clearly still needs to be stated: not all Germans were Nazis, not all of them supported what Hitler was doing. German concentration camps are synonymous with the war, but some people will be surprised to find out that the Soviets ran equally barbaric camps for their millions of German prisoners. In my novel Fifteen Words I hope the reader will find the many other truths told there eye-opening. But I think my aim with this novel was to write a human story first and foremost. A story about two people in love, struggling to reconcile their different opinions, being swayed by all the powerful forces vying for their faith, be that friends, parents, religion or political parties; the kind of things anyone around the word can relate to. And the more stories we read and tell which show how similar we are, beneath all the wonderful and incredible cultural differences we possess, surely the better the world will be for those children sifting through our memories in the dusty attics of the future – or rather the dusty hard drives and digital footprints of the future – where, one can dream, war will play less of a leading role. 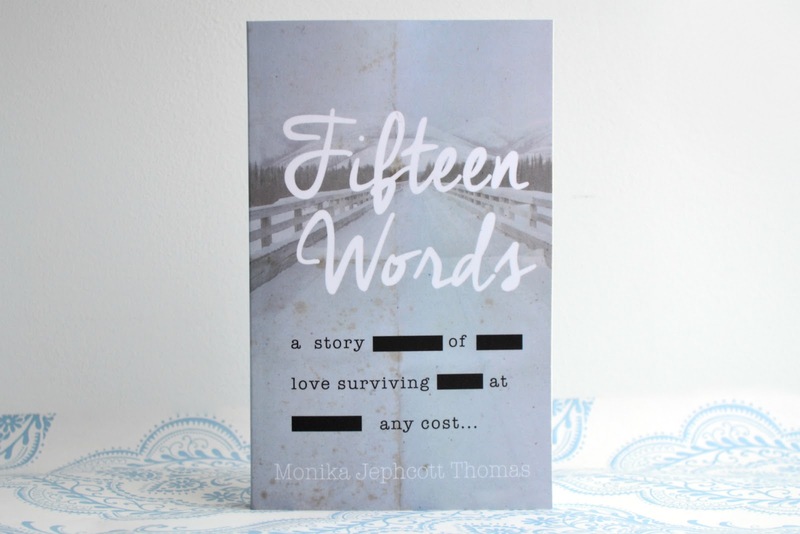 Fifteen Words is being released tomorrow and you can get it here! Have you read any WWII books from a German perspective? What did you think?